With 1500 boilers installed throughout the South West choosing Gas Safe to install your new boiler is the safe option. They are Which Trusted Traders and have a 5-star Google rating. 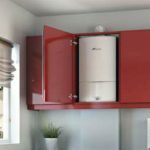 The process of buying a new boiler couldn’t be easier. Instant quotes can be done online and next day boiler installations can be arranged. 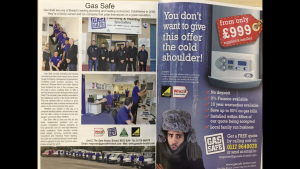 Gas Safe offer to beat any like for like boiler replacement quotation and can provide competitive finance solutions to help spread the cost of a new high efficiency boiler installation. The directors, Richard Martin and Adam Stafford, have doubled the size of the company over the past 3 years and are proud to be working with some of the biggest letting agents in the South West. The company is based at The Gatehouse Centre in South Bristol. A purpose-built call centre/office allows them to offer a customer service second to none. Whether you require a new tap or a complete Heating system, they are here to help. Other services include boiler repairs, servicing, Landlords safety inspections and Chemical Power flushing. Gas Safe are currently looking for more highly skilled engineers to join their dynamic team, please spread the word!